Chesapeake Public Schools provides for the use of lift-equipped buses to transport children with special needs to school each day. Due to the distance, length of ride, and the number of children, there is a need to set procedures to follow so that the system can run efficiently. In this section, you will find guidelines that will help you and your children. We hope that through the use of these guidelines and effective communication between driver, school, transportation services, and parent, each child’s bus ride to and from school will be a positive experience. Your child should be ready to load at the designated pick-up time. Inform the driver when your child will be absent from school and when we should resume picking up the child. Door hangers will be left with the pertinent information if no one is home. Wheelchairs and walkers should be in good condition. Help the child to and from the bus, if needed. Communicate any changes to your child’s driver and transportation staff. Receive the child at the end of the school day. Elementary age children cannot be dropped off without supervision. Be aware that school buses cannot get into small courts, dead end streets, or private roads. If this is the case, other arrangements may need to be coordinated with the Transportation Department. Children will be returned to school or held on the bus to finish the route if no one is at their designated stop to receive the child. Babysitters need to be in your neighborhood. Give the driver, in writing, the name of the person who is to pick up your child in your absence. Children will not be left with strangers without prior permission. If a child is to be dropped off or picked up at a babysitter, it needs to be on a regular basis. If you need to add, drop or change your babysitter, please call us in the Transportation Department. Keep in mind that it takes up to three (3) working days to implement a change. 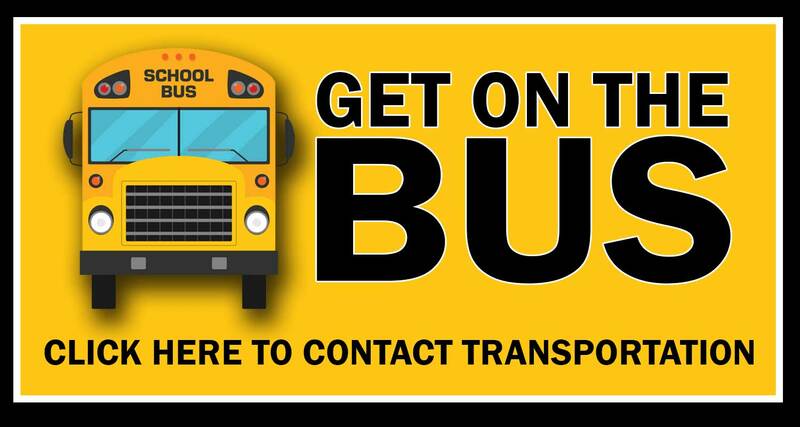 If you change your address, phone number, school or program, please contact the Special Education Department and the Transportation Department. Drivers will call you with the time of pick up and the drop off. This will be in a 10-15 minute range. For your child’s safety, safety vest, car seats, or seat belts may be used. Please make your driver aware of any medical/emotional conditions that may affect your child’s transportation to and from school. Problems or concerns should be brought to the attention of the school or Transportation Department.